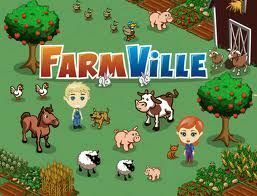 I signed up in Facebook last year (2009) and it took me about a week to contemplate if I will play Farmville (FV) or Farmtown (FT). My friends were addicted to it and I don’t want to get hooked. However, due to undying curiosity (www.thecuriousme.com really fits me ey?) I finally gave in. As suggested by Rein, my friend based in Canada, I chose FV. For the first week, I kept on ploughing and planting on my six (6) plots. One suggested that I need to increase my neighbors and earn more coins inorder to gain more plots. While some were convincing me to do Farmtown instead. During the weekend, I seek Rein’s advice in increasing plots when I chance upon her in the Yahoo Messenger (YM). She instructed me to use the “plow” tool and patiently walked me through Farmville. The tips she gave me helped my plots grow and my money was more than enough to buy seeds. Organizing plots was also one of the hindrance that I’ve encountered because apparently it can’t be moved, it needs to be deleted. I wasted few coins because once you delete a plot, the coins you spent to buy the plot will not be returned to you and you will need to pay again the new plot. Rein was laughing at me because I was really determined to increase my plots, level and earnings. She was quite surprised because in just few hours, I managed to jump from Level 5 to Level 8. It’s quite a feat for a newbie huh? I did try FT but it’s not as user friendly as FV. The plants looked nice but the set up was more troublesome than FV. FV is a stress reliever but I opted to quit. It’s addictive. I want to focus my time with other things more productive. I wonder when this FV and FT will craze end. A year or two from now perhaps? have fun farming whenever you get a chance to get back on ur farm.poor trees and animals they need you now. hi Fritchie a.k.a. Rein. 🙂 I will try to squeeze it in my schedule. thanks for all your help! I would never have improved my strategy in playing FV without your tips. 😀 Aja!